Know why event marketers should strive to be like baseball fans? It’s not for their passion – though excitement for the big event certainly helps. It’s for their scorekeeping. Sportswriter and baseball executive, Ford Frick, once declared baseball to be “the world’s best documented sport.” And, he wasn’t referring to the scoreboard. Baseball fans of years past, and still today, delight in keeping their own record – one very detailed. They want to capture every player’s move on paper for a comprehensive log of that day’s game. Unfortunately, for event marketers and agencies, it’s not always as clean cut when it comes to the tracking of your efforts and brand ambassadors. This is especially true for street team marketing. The field is cluttered. And though your team members are in their positions, they’re not always in view. Yet, you were diligent in their hiring. So, you trust them to run your campaign “bases,” scouring the streets for hours at a time, stopping and engaging passersby, and encouraging them to take steps to meet your goal. It’s all possible because you’ve invested the time and money to narrow down the best location for the big event. And, you secured the proper permits to be there. You may have also planned for brand ambassadors to hand out samples or flyers to help drive in the runs, though adding another expense to tally. Still, the truth remains, street team marketing tends to be less costly than other experiential marketing. But, it doesn’t mean company leadership and stakeholders won’t want to know that the results were worth the effort. Determining how to track ROI and other KPIs may seem impossible when brand ambassadors may have only seconds with consumers. Yet, street team marketing tactics exist to enable precise scorekeeping. Just as baseball fans will track the game’s RBIs, event marketers and agencies have their eyes on KPIs. Here are a critical few, as well as street team marketing tactics, to best measure your street team’s performance. Considering the number of people your street team will encounter, it may seem impossible to know how many they touch. But, the simplest of street team marketing tactics applies here. Brands can use the number of samples, offers, or other distribution data help them track the number of consumers engaged. 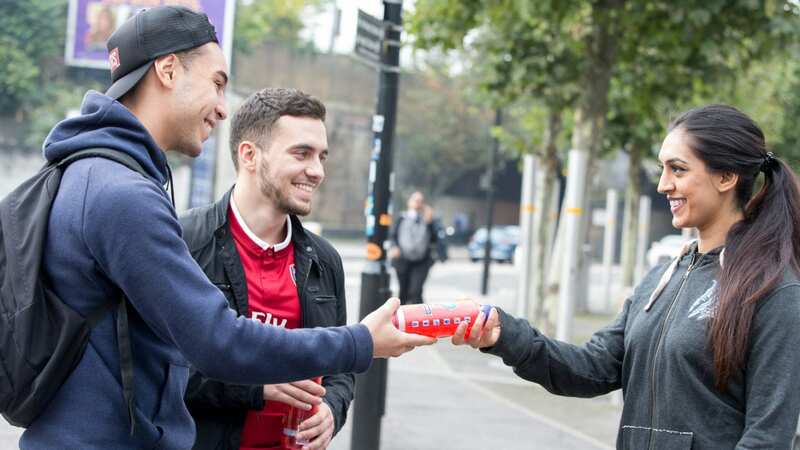 For example, street teams hit UK’s London and Fareham streets to notify consumers of the openings of new Bar & Block restaurants by Whitbread. Over nine days, brand ambassadors engaged 36,000 potential diners by count of handouts that included samples, leaflets, and vouchers. For those who wish to capture the number of more meaningful encounters, event technology can do the job. With the right solution, brand ambassadors might use iPads and other devices to collect contact information on the spot. This may be in exchange for a sample, coupon, or branded giveaways. In fact, the tactic worked for a Travelzoo, who exchanged promotional items and coffee for 600 email signups in three hours. Likewise, stationary street teams may automate games, contests, or giveaways with event tech, which naturally captures info needed for participation. Did your street team do its job? Did your key messages tell consumers what you wanted them to take away? Knowing your conversion rate will give you the answers you need. Whitbread and its partners knew the significance of this data for the above example. So, they decided to count vouchers redeemed to determine the conversion rate. Assuming all 36,000 diners received a voucher, that rate amounted to 8%. That is nearly three times more than the conversion rate of U.K. restaurant goers using their mobile devices to book a reservation. Other ways to track conversion is by handing out trackable discount codes that can be redeemed online. Event marketers or agencies could also set up street team-specific landing pages, with the URL provided on flyers. These would allow people to buy products or download coupons or other content, whatever the goal may be. Some of these same methods – coupon codes and vouchers – are also helpful in calculating gross revenue when sales are made. Further, the performance of individual brand ambassadors can be tracked when coupon codes are specific to each person. In doing so, you may identify weak links on your team or discover locations to avoid in the future. This is especially true when teams are spread out over a wide area. A study shows 98% of consumers will create content during a brand experience. And, 100% of them will share it via their social media networks. This means street team activations that do not encourage consumers to create content miss a huge opportunity to expand reach and provide campaign measurement. The solution? Create a custom hashtag and ask participants to include it with their photo or post. You will up the chances of their doing so when you provide an incentive, such as promotional items or entry into a giveaway. Another idea is to use an existing, popular hashtag to expand awareness beyond passersby and their followers. One example is when UK telecommunications company, Sky, sought to bring awareness to its chosen cause – reducing use of plastic. Should your brand decide to go this route, be sure images include use of branded props or backdrops. Brand ambassadors can also take selfies with consumers to make your brand’s identity known. It’s a win-win since research has shown a 10% higher chance of conversion through efforts like these to increase exposure. This may seem similar to social media mentions, but instead, this KPI gages people’s feelings for your social media content. Return on engagement (ROE) shows how much your social media content resonated with participants and those they shared it with, judging by its number of likes, shares, reposts, or retweets. To capture ROE, someone on your team – event marketers or agency reps, on-site management, or your brand ambassadors – must take photos of the street team in action and post them to brand accounts. Or, that person may simply choose to “share” other user-generated content by looking under the specified hashtag. The latter is a smart approach since Adweek says people “cannot help but respond to…authentic content generated by fellow customers.” And, for brands, street team marketing tactics like this make fans even of those outside the street team playing field for a maximum return on this game and others. Street teams are prime opportunities to engage with consumers and build brand awareness. But they can also be used to generate actionable leads. Learn how.